In observance of Labor Day, the offices of Rollins Financial and Rollins & Van Lear will be closed on Monday, September 1st. 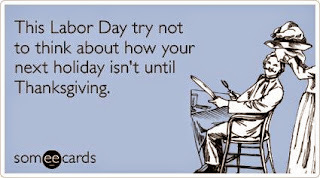 Please note that all major U.S. stock exchanges and banks will also be closed due to the Labor Day holiday. If you require immediate assistance on Monday, please contact Joe Rollins at 404.372.2861 or jrollins@rollinsfinancial.com. Our office will re-open for business on Tuesday, September 2nd at 8:30 a.m.
Had the month ended on the 30th rather than the 31st, July would have actually been a very nice month for investments The month was moving along at a fairly nice clip until the last day of July, when virtually all the major market indexes were down at least 2% or greater. The violent selloff at the end of July resulted in all of the major market indexes in a loss position for the month, but certainly did not reverse all of the very nice gains the markets have realized for all of 2014. One day does not make a trend. For the month of July, the Standard & Poor’s Index of 500 stocks lost 1.4%. This is a result of the 2% loss on the last day of the month essentially throwing the index into a loss position for the whole month. For the first seven months of 2014, the S&P 500 Index is up 5.7%, and the one year total return, ended July 31, 2014, on this index is 17%. I read many scathing reports that the Dow Jones Industrial Average’s large losses wiped out all of the profits for the year, but clearly those newspapers did not take dividends into consideration. The Dow lost 1.4% during July, is up 1.2% through the end of July 2014 and 9.4% for the one year ended in July. The NASDAQ Composite lost less at only .8% for the month of July and is up 5.3% for all of 2014, and up 22% for the one year. And for those who thought that abandoning stocks and going into bonds would be safe in July, the Barclays Aggregate Bond Index was down 0.3% in July and is up 3.5% for the year 2014; for the one year period, it continues to be up 3.6%. As one would expect, the more aggressive NASDAQ Composite is up the most for the one year period and the less aggressive bond index trails along with a 3.6% increase. Because the headlines attempted to make the sell-off a much bigger event than it really was, I thought I would try to help put the entire matter into perspective in this posting. I rarely take more than a few days off at the time, but this last weekend I decided to make a trip to Florida to pick up our newest puppy. As many of you know, we have always maintained a fair number of dogs, so with this new addition we currently have three dogs and one cat. Since our oldest mother dog is gaining in the age category, we elected to buy Ava a new puppy so she would have the opportunity to grow up with one. And because we had to go to South Florida anyway, we decided to help the economy and drop in on Disney World. As you can see from the attached pictures, both the trip to Disney World and the purchase of the puppy were a big hit with Ava. While I was gone, the markets elected to interpret very good news negatively. The word reversification is basically used to describe when good news is bad news for the markets. Despite sounding like an oxymoron, you have to interpret the way the market views these sorts of things. I will explain in greater detail momentarily, but the economic news was excellent for the month of July. Despite positive economic news, geopolitical events were bordering on catastrophic. With essentially a Civil War in Syria, the start of a possible Civil War between Libya and Iraq, Russia’s attempts to overtake Ukraine, and the never-ending war between Hamas and the Palestinians against the Israelis, I, quite frankly, found the loss in July to be very much muted. And of course they had to throw in a little scary economic news, which in reality was not very scary. Some totally insignificant bank in Portugal failed and the government had to bail it out. And in addition, Argentina, the perpetual defaulter, once again defaulted on their nationally issued bonds. If you ever need to illustrate that socialism does not work, just take a quick look at Venezuela and Argentina – or even Cuba for that matter. I find it quite interesting that we long for socialism in this country, yet every time it has ever been practiced it has failed. The failure of the bank in Portugal and the default by Argentina are relatively minor items that should not warrant any type of financial scare, but unfortunately traders viewed it as 2008 reincarnated, and decided to sell and get out of the way rather than actually think about it. As I have indicated on many occasions, stock prices should be controlled by corporate earnings, interest rates, and the general economy. In all truthfulness, all three of those were quite excellent during the month of July. In fact, economic news was so good that the traders just assumed that the improving economy would clearly force the US Federal Reserve to increase interest rates sooner rather than later. I find it somewhat baffling that although the Federal Reserve has basically indicated that interest rates would not increase prior to mid-2015, traders begin to react to this at least one year in advance. Some of the more basic economic news was very positive. During the month, the second-quarter GDP was announced at 4% and the first quarter GDP was revised higher from a -2.9% to a -2.1%. As I have previously posted, this rebound in GDP was well forecasted. The first quarter GDP was a very difficult weather-related quarter and certainly should not be deemed normal as the quarters progress. I am sticking with my projection that the GDP for the third and fourth quarters will be in a 2.5% - 3.5% range. As the employment index indicated on Friday, the economy is improving. Everywhere we look the economy is firming up, so the massive sell-off that occurred at the end of July was certainly not warranted. The trend in employment continues to be very strong, with approximately 2.3 million new jobs created over the last year. Certainly, much improvement is necessary going forward, but solid progress has been demonstrated. The most important consideration in stock prices is earnings and earnings growth. Currently, it appears the earnings growth for the second quarter to be an increase of 11.8% on a year-to-year basis. I am completely blown away by seeing the excellent corporate earnings that are being reported daily in the financial news. But even more impressive is the expected earnings growth coming up. It is fully expected that the third-quarter earnings growth may be as great as the projected growth of 13.5% and the fourth even better while projected at 15.1%. If the economy continues to remain in an uptrend, these higher earnings will almost unquestionably increase stock prices. Sometimes you really just need to get a grip on reality! Stock prices do not just crash and burn when earnings are accelerating and interest rates are practically zero. Of course, there can always be a decline of 5 to 10% at almost any time for any reason, good or bad, but no long-term negative trend should develop in the face of increasing earnings. If there were alternatives for investing then maybe, but there are not so right now is an extremely favorable time for investing in stocks. All of the additional financial information about the economy continues to be strong. Consumer spending rose in the second quarter at a solid 2.5% which was largely driven by large ticket items, principally cars and trucks. The consumer confidence index in July hit 90.9% - a stunning 12.2% increase over this same index last year. It is just hard to reconcile the confidence that consumers are showing against the negative outrage with traders on Wall Street. With such consumer confidence, you should see higher GDP in the quarters ahead. Other economic indexes remain strong - we're seeing capacity utilization in the manufacturing industry almost at full capacity, many positive attributes from oil drilling, and for the first time in 40 years, the exporting of oil overseas. Very few people understand the potentially huge economic benefits of the United States actually exporting oil resources to foreign countries. If widespread exporting of oil was permitted by our government, it could change the economic landscape of many countries and shift the economic strength back to the United States. With so much positive news economically and so much bad geopolitically, it is difficult to know what to believe. Here we are today, a little over halfway through the year, and the S&P 500 continues to be up nicely at 5.4% for the year. We certainly expected the market to be choppy during 2014, so it would be more shocking if we did not see any loss months during the year. However, with earnings accelerating, the economy strengthening as noted herein, and interest rates likely to be near zero for at least another one to two years, there is no reason why stocks should not continue to be the best place to invest for months, if not years, to come. I am often questioned, on a day like July 31st, with the major market indexes down 2% and even bonds being crushed that day, where these potential traders invested their money after selling that day. It is highly unlikely that any long-term investor traded anything on this given day, while traders like to move the market so that they can take advantage of weak spots. I can almost guarantee you that none of these traders will be in cash for very long. If you look at the major market indexes from that Thursday, you will note that everything was down: stocks, bonds, convertibles, and essentially every other type of security. When you see a market sell-off with such magnitude, you can rest assured that it was a traders' day and not representative of the economic data. As illustrated above, economic data continues to be strong and earnings are excellent. As we go forward, you will see those traders reinvest and push markets higher; it is not a matter of if, but a matter of when. Recently we have been inundated with clients questioning our opinion on annuities or requesting an analysis of an existing annuity contract. Annuities come in various forms, but the most popular versions are either a variable annuity or a fixed annuity. Variable annuities typically include mutual fund investments combined with an insurance or guaranteed income component which, incidentally, comes at a significant cost. These days, when an advisor or sales agent proposes that someone buy an annuity, the motivation could be the significant sales commission he or she will receive for selling these products. By convincing a consumer to purchase one of these products, a sales agent can receive a payment of almost 10% of the contract value. Perhaps this is why the penalties for cashing in an annuity contract early are so severe. Rollins Financial is a fee-only advisory firm, which means we are only compensated by our clients and do not receive a commission for selling particular financial products like annuities or loaded mutual funds. We feel it is a direct conflict of interest as an easy upfront payoff for selling a commission product is likely to inspire salespersons to suggest products that may not actually be in the best interest of the consumer. 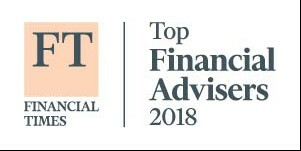 As a registered investment advisor(RIA), Rollins Financial Inc. is held to a higher standard and has a fiduciary obligation to suggest solutions which we believe are in our clients’ best interest, not just what might be suitable. Beyond our fiduciary duty, we are strong believers in financial flexibility while pursuing efficient and cost effective solutions for our clients. Annuities are neither flexible nor cost efficient, and in many ways constitute a transfer of wealth into the coffers of the insurance company and their agents, and away from individuals and families. Conversely, our objective is based on preserving and growing our clients’ assets as they prepare for important milestones and expenditures such as sending their children to college or embarking on retirement. We trust this objective is shared by our clients. Annuities are often referred to as products that are sold, not bought. Probably because not many investors would find that they fit into their long term financial plan unless a sales person approached them about buying one. Annuities often offer a guarantee of some kind. While these guarantees can be comforting to investors, they come at a very high cost, and over the course of 10 or 20 years are likely to provide little benefit. For instance, many of the annuities with riders can carry expenses upwards of 3.5% annually for providing a fixed benefit that won’t be received for another 20 years. Over the course of 20 years, or longer, we believe it’s highly likely that an investor would be better off participating fully in the returns generated by their investments and avoiding the extra fees associated with annuity products. Examining the markets since 1950, the worst 20 year period for stocks would still have resulted in a 6% annualized gain. Of course this data would include the periods ending with the tech bubble and the financial crisis in 2008. U.S. stocks have returned an average gain of 11% since 1950. Annuities are a tax deferred product, which in our analysis used to make some sense, but that was before capital gains and dividends were given such advantageous tax rates. Long term gains and qualified dividends are taxed at 15 or 20% for most individuals, while deferred income in an annuity is taxed at earned income rates, which could be as high as 43% at the federal level. While there is definitely a benefit to tax deferral, the cost of an annuity and the potential differential in tax rates is too large of a hurdle to overcome for current investors. And please remember, annuities are only as good as the company backing them. 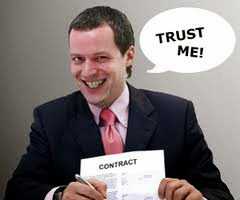 The products and guarantees are dependent on the viability of the insurance company selling them. I hope the foregoing has given our readers some useful information regarding annuities and the costs involved. Please contact us if we can provide more guidance and evaluate your particular situation.